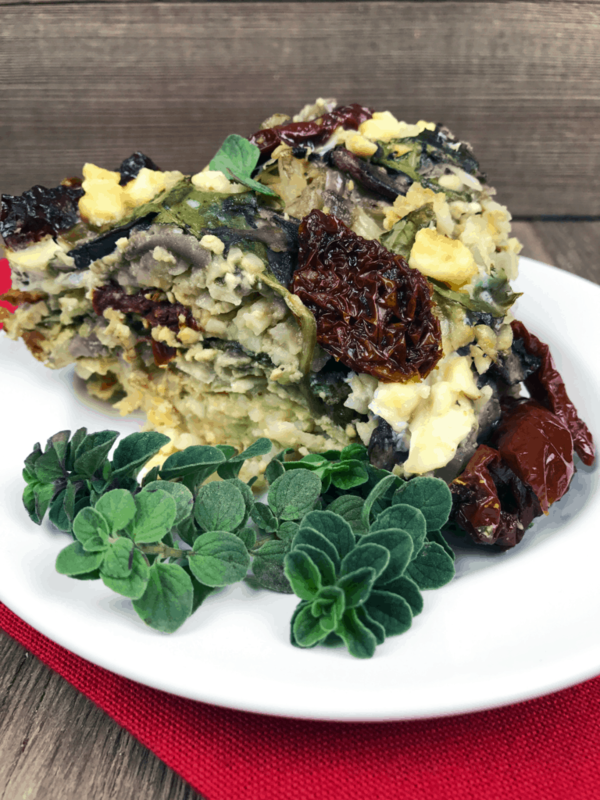 Put this delicious Greek breakfast casserole together in your slow cooker and wake up to the most delicious breakfast or brunch dish. It makes delicious leftovers if you have them! 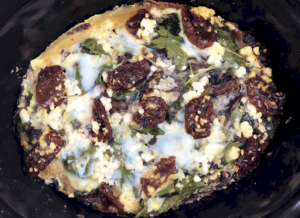 In slow cooker layer half of the following: hash browns, onion, mushrooms, spinach, sun-dried tomatoes, and feta cheese. Repeat with the remaining half of ingredients. In a large bowl beat eggs, milk (or Greek yogurt), salt, pepper, garlic, & oregano. 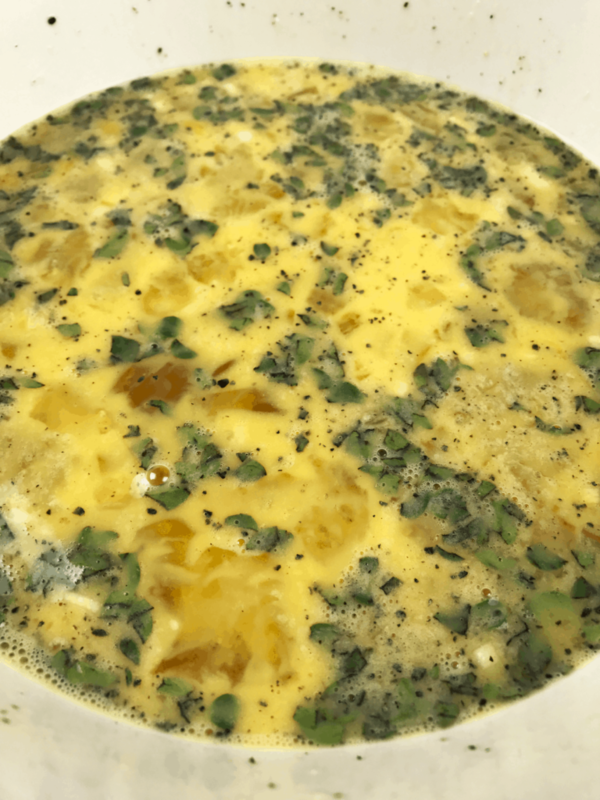 Pour egg mixture over ingredients in slow cooker. 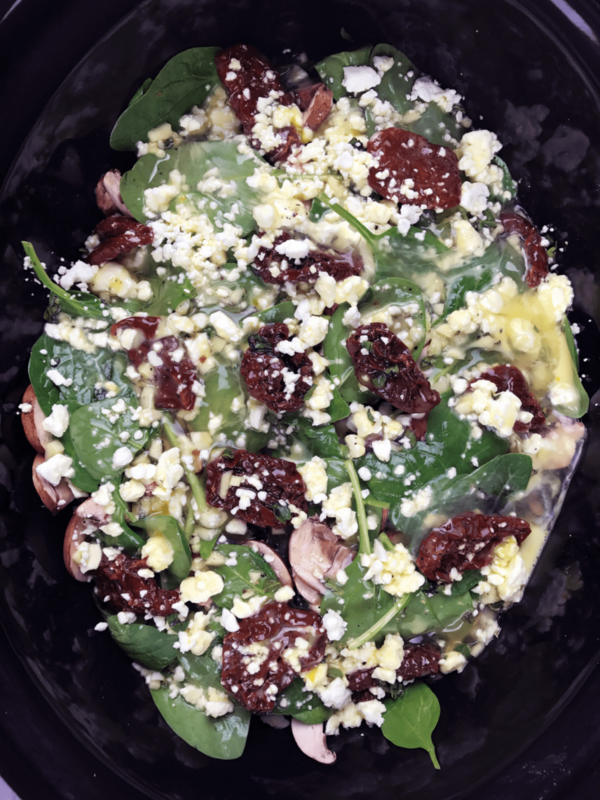 Top with extra feta (if desired). Cook on low for (approximately) 5 hours. 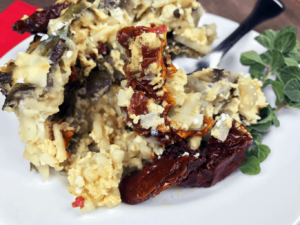 Enjoy our Slow Cooker Greek Breakfast Casserole Recipe. 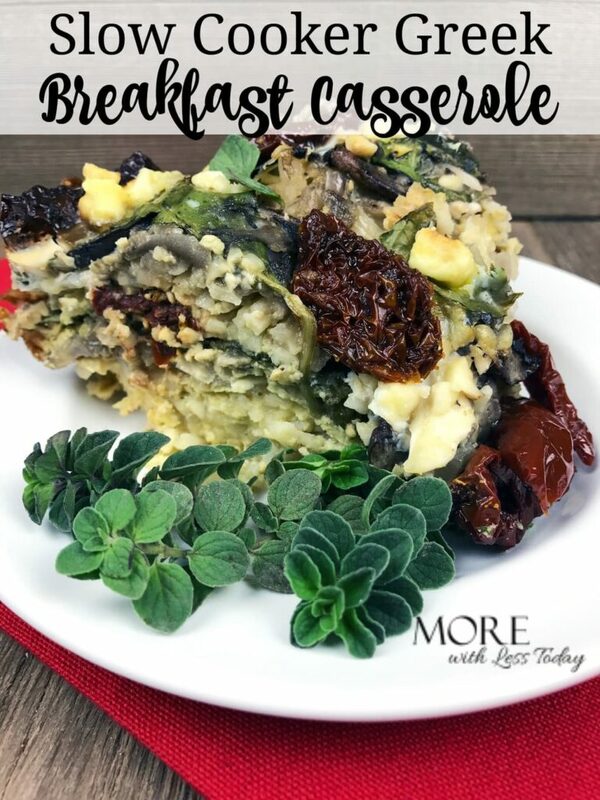 Do you have a favorite slow cooker breakfast casserole recipe to share? PIN it to your Pinterest board for later!